What have you done lately? Did you get the new arms in? Might be the uppers are set too long if you did put them in. What is it doing? Well my toe was 1/2" out for some reason. I also measured with my magnetic angle finderon the flat spot on the diff cover and came up with 87&#176;, my pinion was at 7&#176; I think. I forgot to write that down after I measured. It drives much better now. I also finished my endcaps, some more fender trimming, and a transfer case skid. You has a happy then? I do. I drove mine a few days ago. Perfection. Yes I am fairly happy. I may play with the toe some more and find a sweet spot. So here they are. 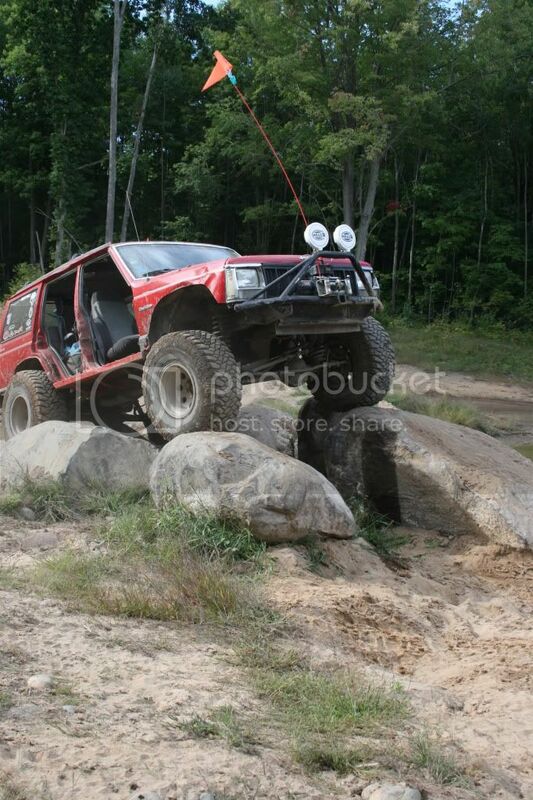 I spent the weekend at rocks and valleys. 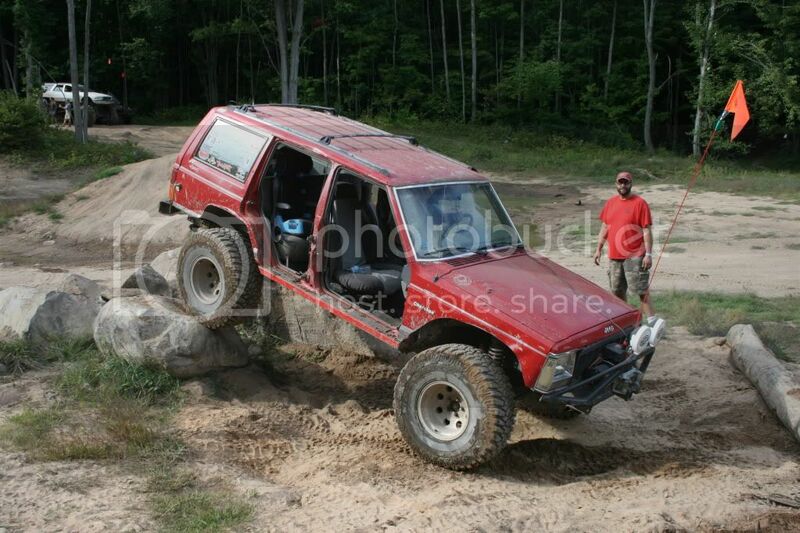 The jeep worked awesome! With my newly installed body protection it gave me extra confidance to try harder obsticals. 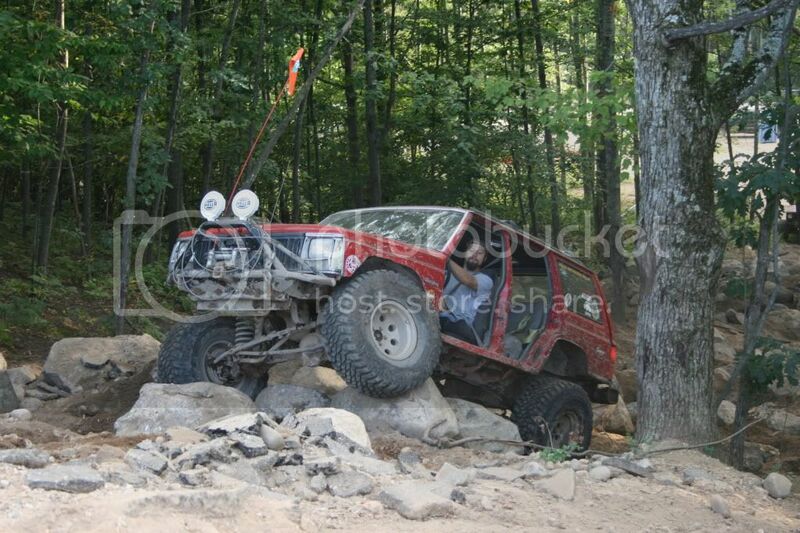 I even crawled winch hill only winching once. I did find a few busted up things once arriving home. 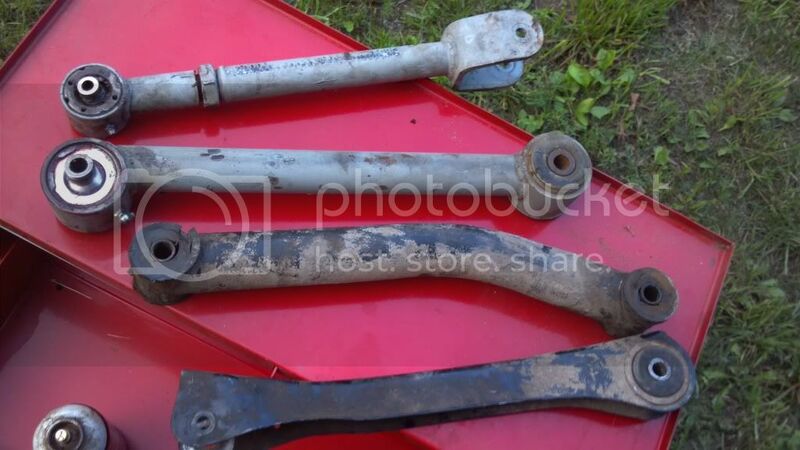 My rear drive shaft took a beating, the exhaust did also, my front axle joints need some full circle clips or an almost alloy kit, and my leafs sagged out pretty far, and my steering was bent up some. All in all a fantastic weekend! Now for pics. 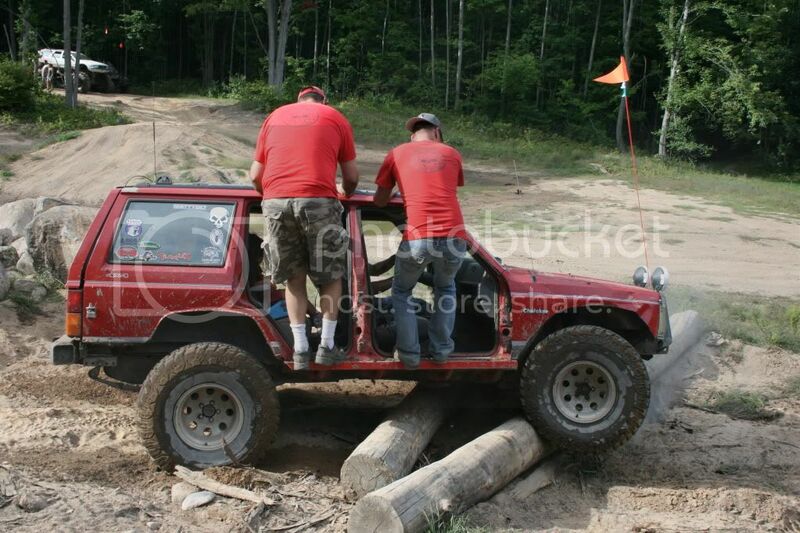 Scott your Jeep did awesome. 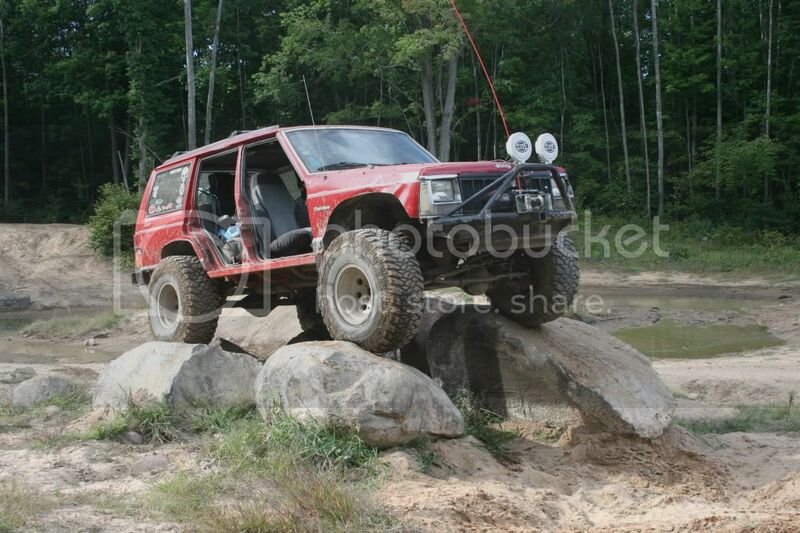 looks good, if didnt know any better your jeep looks like Joes jeep twin. "THE MORE I LEARN ABOUT WOMEN, THE MORE I LOVE MY TRUCK"
Awesome! But is that an Impala wagon body on a truck frame, and big meats, in the back?